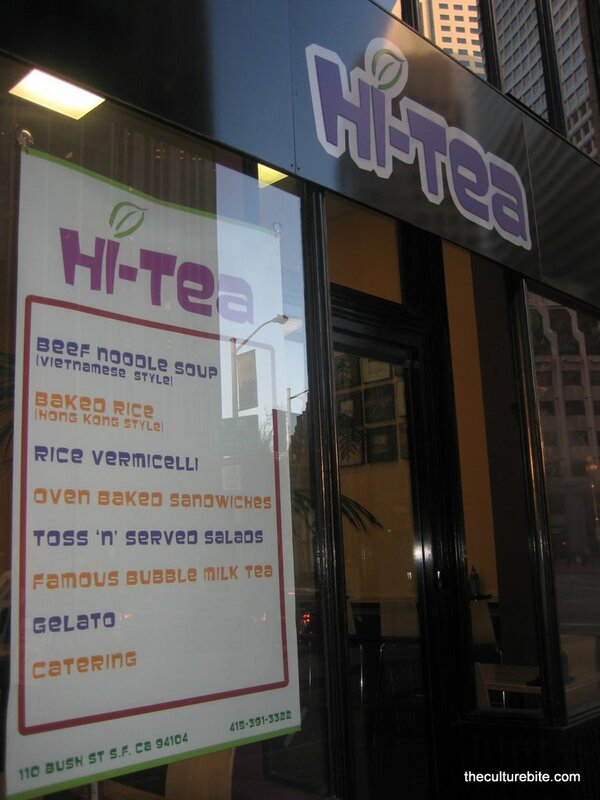 HiTea is one of those restaurants that has a serious identity crisis. It’s not a bad thing, I just find it pretty random that they serve ice cream and tapioca, pho, Vietnamese rice plates and Hong Kong style baked rice dishes. I actually came here after work for dinner so the restaurant was completely empty. The decor is modern as it is in the FiDi, but the prices are very reasonable. The restaurant also smells like pho, so it’s really hard to order anything else because it smells so dang good. Well, I purged my craving for pho and got one of the Hong Kong baked rice plates. It was only about $7 and the serving was HUGE. I ended up splitting it into 2 meals. Hong Kong style baked pork chop over rice – Mmm… I almost always order this dish when I’m at one of those Hong Kong restaurants. I just love the soft rice with the fluffy egg mixed with a sweet ketchup-like tomato sauce. The pork chop is actually the secondary favorite in the dish. Although, the one at HiTea was super tender and juicy – must be because of all the fat around the bone. Don’t worry, I cut it off! 1) they have the less-delicious peanut sauce, tastes bottled. 2) they have watermelon milk tea but not watermelon juice-what’s the point? !